The EX100 has the answer to all your sewing needs. 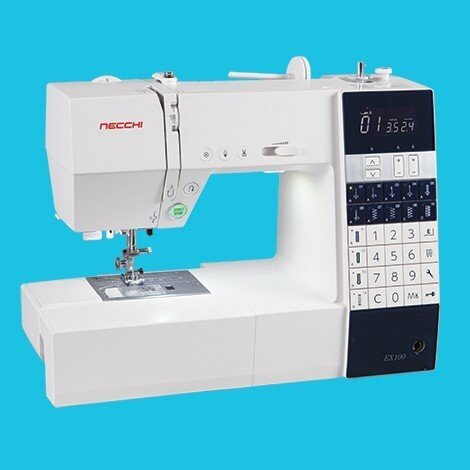 Advanced features, outstanding standard accessories, and award winning design - the Necchi EX Series' highest level model is guarenteed to impress. The top of the line EX100 includes 100 stitches, start/stop button, automatic thread cutter, and built-in needle threader. Plus a 16" x 11" extension table, 3 piece LED light, optic magnifiers in three different magnifications and knee lifter standard. Fully loaded and priced right!